Ever felt as if you’re not getting paid what you deserve? You’re not alone. New research from the UK’s leading independent job board, CV-Library, has found that two-thirds (65.3%) of Brits believe that they’re underpaid. 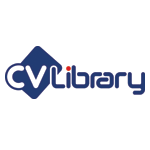 Lee Biggins, founder and managing director of CV-Library comments: “We often hear that candidates look for a new job to secure a higher salary, so we wanted to explore how true this sentiment is in the UK, comparing the insights against our own salary data. It certainly confirms that the vast majority of workers believe that they’re underpaid and it’s clear that this feeling is more apparent in the North. If in doubt, always check the average pay for your role by using an online salary guide.